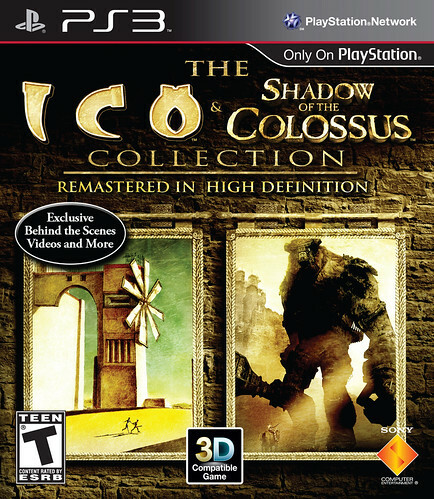 It’s been a while since we’ve updated you on the remastered ICO & Shadow of the Colossus Collection, but we did want to remind you about its upcoming launch on September 27th! As a special treat, we’re proud to unveil the final box art and inside packaging for the collection, depicting stylized artwork from both titles. In addition to full 1080p HD, stereoscopic 3D support, and 7.1 surround sound, this re-release contains a ton of exclusive bonus footage and behind-the-scenes content that will await you on September 27th. Full details are available here. Additionally, we wanted to confirm that The Last Guardian is not on the schedule for this year’s Tokyo Game Show. However we can assure you that Ueda-san and the rest of the development team are hard at work to bring his lofty vision to life and deliver the very best gaming experience possible. so close. love the inside cover. Aww…I’ll be missing The Last Guardian. I’m looking forward to it, just as I’m sure everyone else is. You keep working hard guys! Look amazing just from seeing the box art. On topic: I can’t wait for this game. I tried really hard to get ICO to play on my 60GB PS3, but I could never find it. Shadow of the Colossus was an awesome game and one of my favorites of all time. Too bad The Last Guardian won’t be on TGS, but it is good to be reassured they are still working on it. Either way, it looks like PS3 is closing the generation (assuming it will be over in 1 or 2 years) with a bang! Take note developers! We love these reversible covers! First R3 and now this…keep them coming! Please, PLEASE make this a standard practice for PS3 games (1st party at least). After seeing this and having the same with Resistance 3, there is no going back. The alternate covers are a fantastic idea and really really cool for those who love to appreciate the art. SWEET. Reminds me of the original japaneese box art. I still own the originals, so I will have to wait it out till I purchase this. Looks so cool though. please answer me this game will be on sale in the psn store to download digital?? Can’t wait. I never got around to playing either of these titles. thank you for the cover.. I love replacing them with a clean one. Last Guardian not at TGS? WTF is going on with that game??? Can’t wait to get this. I never played Ico, but SotC was one of my absolute favorite games of the last generation. I’ll also be sure to flip that insert around once it’s out of the shrink wrap. Reversible covers are awesome guys, please do them with all over your first-party games. I’d also like to share my appreciation of the reversible covers. Let’s make it a trend, please! Ah clean covers are the best makes the game collection look awesome on the wall. Please keep doing this. I cannot wait for Last Guardian and may also pick up SOTC/ICO pack even though I already have both for ps2. It all depends on if I can catch up on the games that I want to buy. So many great ps3 games lately and so little moeny. Gee, what a surprise, still no Last Guardian. Luckily I’ve given up all hope anyway. As for this collection, the drought ends for me on Sept 27, when I get the day 1 delivery. Really excited about playing these! I was going to wait till Nov 1 to buy a Bravia 3D, but hmmmm. Would love to have the two inside covers as posters. Pretty sweet, I’ll be switching covers every once in awhile to keep it new to the eyes whenever I play these. 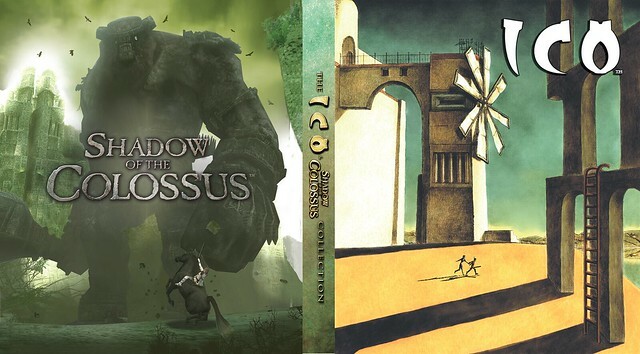 Can’t wait to play both games, never played Ico, but I did play SotC like 2 years ago and it was great. Definitely gonna be buying this day 1.
please answer me this game will be on sale in the psn store to download digital??? Cool! We get a reversible cover with title on the spine. I have to say I do love the idea of the reversible cover. Allows for the necessary marketing and awareness, yet gives us an option for excellent and clean cover art. Brilliant idea. Please keep them coming. canada misses the full colour manual and reversible box art sony so please be nice and bring them back. Really?! No last guardian at TGS. Awww…. Dang. *sigh* this is a bigger let down than the ending of borderlands.. The reversible covers are awesome! Can’t wait for my preorder to be delivered! BOUGHT BOUGHT BOUGHT BOUGHT BOUGHT 100 times over. Two of my favorite games of all time in my 30 years of gaming! So excited, and great to jump back in after all these years in how it was meant to look and be played. I was hoping for The Last Guardian at TGS but this will keep me busy :). Nice to see these awesome titles are being remastered… cant wait to get my hands on these on the 27th… off topic tho: when r we ganna c remastered versions of Xenosaga 1, 2 n 3???? In Japan, they have or are getting a limited edition (since the games are sold individually) that comes with a 100 page booklet. Any possible way us folks not from Japan can get this booklet without importing the LE? Ueda can take his time with TLG, it should be nothing less than a masterpiece. Why put it out when it’s not ready? Haven’t had the opportunity to play these games. Looking forward to it! Sony keeps mentioning 1080p, but all reviews so far have confirmed that the games run at 720p. What’s the score? Oh, how I cannot wait for this. I have been putting off another play-through of these wonderful games just for this HD collection. Thank you to Ueda and his team for doing this. Keep on working hard on The Last Guardian. Looks great!! picking up this game and gonna beat it again but now with trophies and 3D…awesome sause! Rumours going around that the games are only 720p! Probably will be my first HD remaster. You know, I never owned a PS2. During the PS2 years, I had sort of fallen out of love with gaming for one reason or another. However, I did own Ico. I found it on sale in Blockbuster video in Oxford, England (where I lived at the time). Being a UK copy, it had the beautiful box art and postcard inserts and it was very cheap so I bought the thing without even owning a system to play it on. About six months later I took it to a friends house and we stayed up through the night playing it. It was beautiful, sublime and like nothing I’d played before. I left it with him and that, as they say, was that. I never had the opportunity to play it again, that game I bought solely for the striking box art and unusual name. Needless to say, I absolutely cannot wait to return to Ico, and to try Shadow of the Colossus. I’m pretty certain, from what I’m told and have read here and elsewhere, that I’m in for something very special. WOW, After seeing the inside box art I kinda hate myself for being born in Canada. I will just continue importing until this is fixed, I’m done with Canadian releases. Same price for black and white manual(most games) and a cheap white inside.